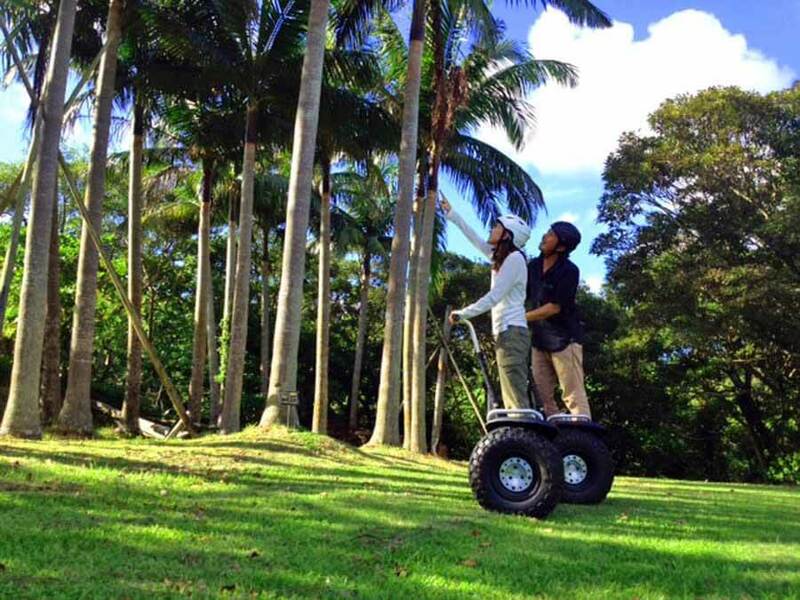 For those who have never experienced a Segway, keep reading, as it is very easy to learn and enormous fun. For those who have ridden one before, rest assured this trip will be better than any you have tried before. First, a few words about the park. Banna Park is a beautiful location less than half an hour’s drive inland from Ishigaki Port. 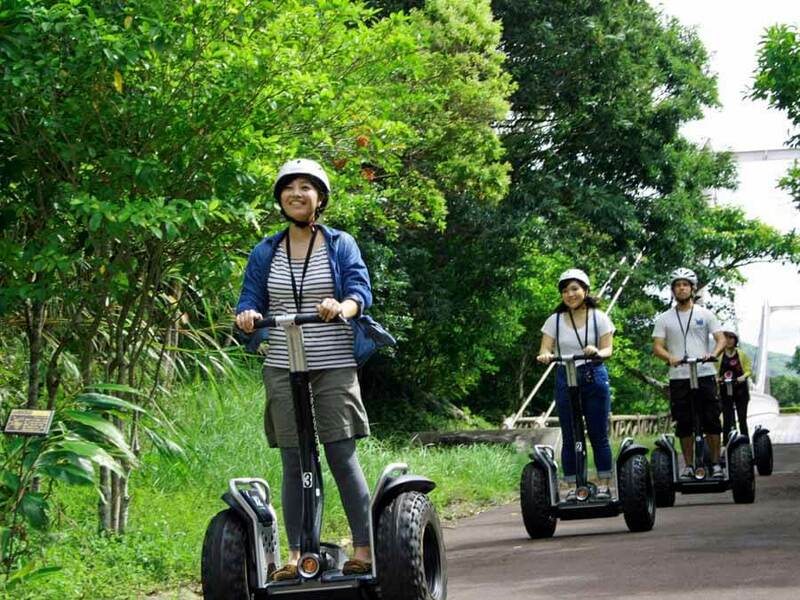 It is divided into five major zones and the Segway tour concentrates on one such zone, allowing you the freedom to traverse this section of the park and take in its many attractions. The route includes beautiful vistas across the forested mountain side of Mt. Omoto, then progress over the 100 meter suspension bridge which spans the lake formed by the Ishigaki dam below and meander through the small roads and many paths through grassy squares and pastures. On the other side of the Park you can look out over Ishigaki Port and the crystal blue sea beyond (this area is not visited during the tour). During the tour, the guide will point out and provide information on some of the many plants and flowers on route. You will marvel at the sheer number, colors and shapes of the different butterflies which you will encounter. 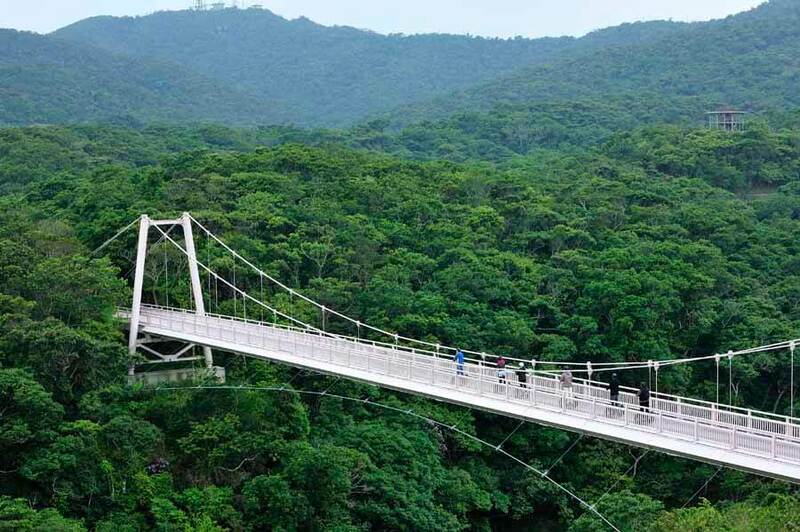 Other wildlife which may be spotted are turtles in the lake below the suspension bridge, fruit bats and many birds in the trees and overhead, including ruddy kingfishers or the kanmuriwashi, the crested serpent eagle of Ishigaki. In short, it is an uplifting ride through open spaces and beautiful countryside, which allows you to see and appreciate many, many natural beauties. And now back to Segways. These two wheeled vehicles are easy to operate – you steer, control and move by shifting your body weight forward, to the side, or backwards. The tour includes a full instruction lesson and a practice session before you start, and this in itself is an enjoyable experience. Once you have learned the basic maneuvers, it is simply exhilarating to `stroll` along the paths and through the pastures of Banna Park. At the end of the tour you can visit the butterfly park and the museum of butterflies and insects located in the Park, and plan your next Segway adventure.